Eating a single portion of beans should not cause diarrhea to develop. Any excessive amount of beans may cause loose stools because of consuming too much fiber, but this typically does not cause diarrhea. Diarrhea is a symptom of another medical condition. 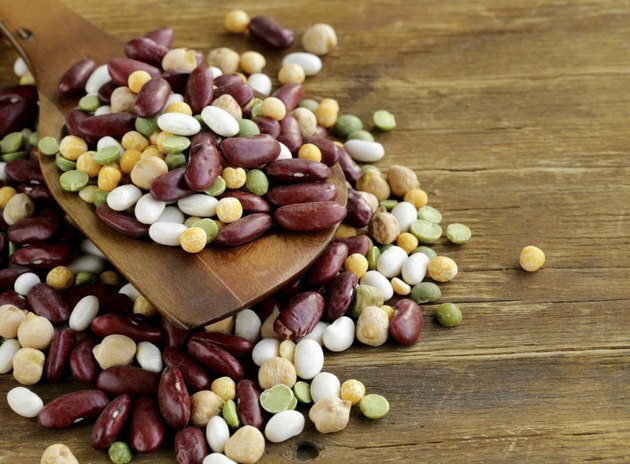 If you develop diarrhea every time you eat beans or other legumes, you may have an allergy to legumes. Legumes include beans, peanuts and soy. If you have been diagnosed with a peanut or soy allergy, you are at greater risk of being allergic to other legumes, such as beans, according to KidsHealth. Although beans are not considered a common food allergen, their close relationship to peanuts and soy can cause an overreaction of the immune system. A food allergy causes the immune system to react as if it was under attack. It mistakes the proteins in the beans as a harmful substance and creates antibodies and other chemicals that lead to common food allergy symptoms, such as diarrhea. If the diarrhea is the result of an allergy to beans, your symptoms will develop within minutes of eating the beans, but could take up to an hour. Mast cells in the small intestines begin to produce histamine, a chemical that helps prevent infection in the body but in high levels causes inflammation. The lining of the intestines become swollen, causing common gastric symptoms, such as diarrhea, bloating, cramping, stomach pain, nausea and vomiting. Diarrhea is common from a food allergy and should subside once the bean proteins are eliminated form the body. If the diarrhea continues for more than 24 hours, talk with your doctor. Diarrhea is loose, watery stools that cause frequent and urgent bowel movements, according to the National Digestive Diseases Information Clearing House. Diarrhea can lead to dehydration, an excessive loss of water and salt that keeps your body functioning normal. You should drink more water, broth and fruit juices at the first sign of diarrhea to prevent dehydration. Diarrhea from a bean allergy is the most effectively treated by removing all legumes from your diet, according to the Cleveland Clinic. Soy, peanuts and other beans may be found in pre-packaged foods. Read all the ingredients and know what you are ingesting. Minor allergy symptoms can be treated with hydrocortisone, for the skin and antihistamines for other allergy symptoms.